Posted on Friday, June 14th, 2013 at 12:00 pm. 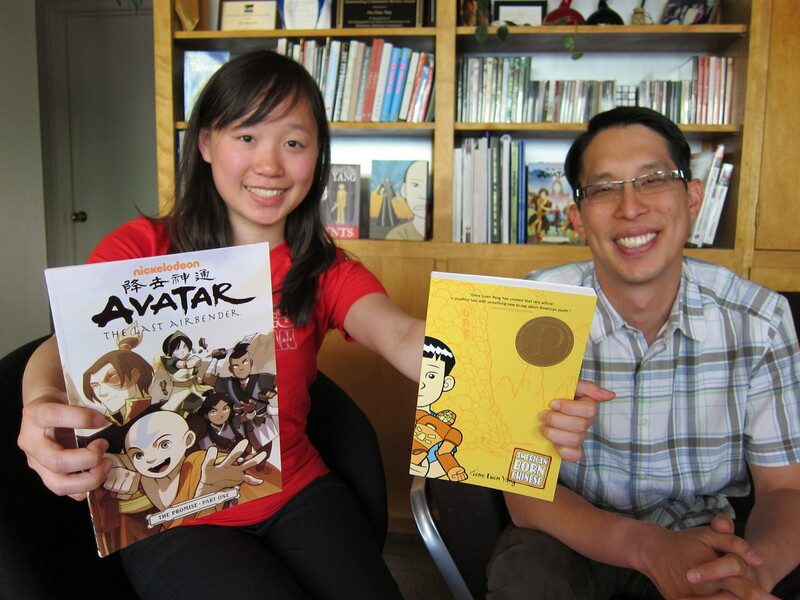 I recently had the honor of sitting down with Gene Luen Yang, author of the graphic novels American Born Chinese and Avatar: The Last Airbender, among other works. In his own words, he is a high school computer science teacher by day and a Taiwanese-Chinese-American cartoonist by night. Gene is currently the Director of Information Services and a part of the Low-Residency Master of Fine Arts in Writing for Children and Young Adults (MFAC) program. I first heard of Gene in my Asian Americans in Media course at the University of California, Berkeley, where his work, American Born Chinese, was featured in our course reader. It wasn’t until a student group event on campus did I finally get to meet Gene, and then again at a comic book signing event where he was a featured guest. His fascinating life story as a computer-scientist-turned-cartoonist paired with his easy-going, enthusiastic personality made him an engaging and entertaining presenter. I wanted to learn more about Gene’s experiences, so I invited him to chat with me further and to share his story and the inspiration for his work with the audience of TaiwaneseAmerican.org. 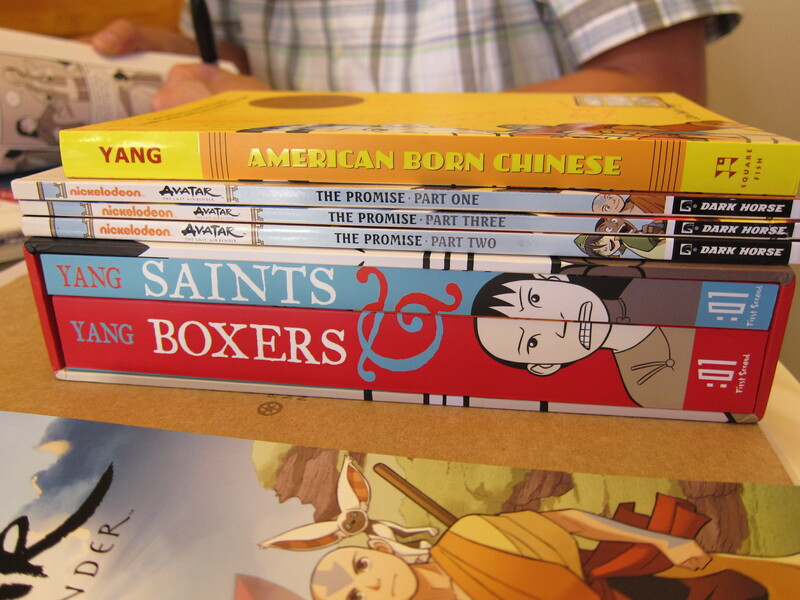 In this interview, I asked Gene about his path towards the comic industry and what it is like to be an Asian American in this field. He also talked about parental influence, expectations, and/or pressures on this journey, and his reflection on it all, now that he has kids of his own. On a whim, I also asked him to produce a quick sketch of the two of us. As I watched his cartoon take shape, I felt compelled to sketch one myself. It was… well, you’ll see. Watch and enjoy our video interview below!